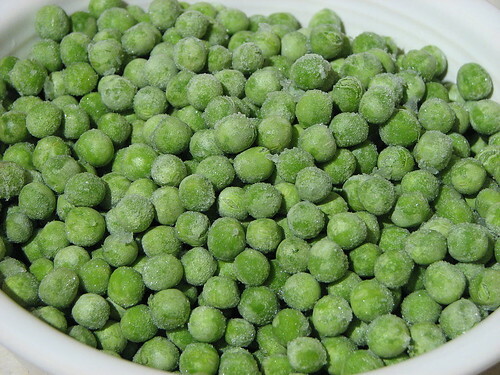 As we check our watches, we might recall that it was on this date in 1925 that Clarence Birdseye first tested frozen peas with consumers at a Chester, NY grocery store. Birdseye had already patented a range of “flash-freezing” processes and devices, inspired by his experiences as a biologist and trapper in Labrador earlier in the century. He had noticed that while slow freezing creates ice crystals in frozen foods– crystals that, when thawed, create sogginess– meat exposed to the extremely cold temperatures in the Canadian North– frozen essentially instantly– didn’t create internal ice, and were as tasty when thawed months later as fresh. Birdseye created quick-frozen vegetables and meats as a storable option to fresh, and in 1930 offered a range of 26 frozen meats and vegetables.